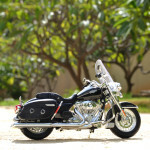 The biggest news from Maisto last year is to make Harley Davidson bikes in 1:12 scale! 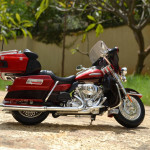 And they launched two of those bike “Harley-Davidson 2013 FLHTK Electra Glide Ultra Limited” and “Harley-Davidson’s 2013 FLHRC Road King Classic” by the early 2014 and this Harley Davidson Sportster Iron 883 2014 was released towards the end of the year 2014. 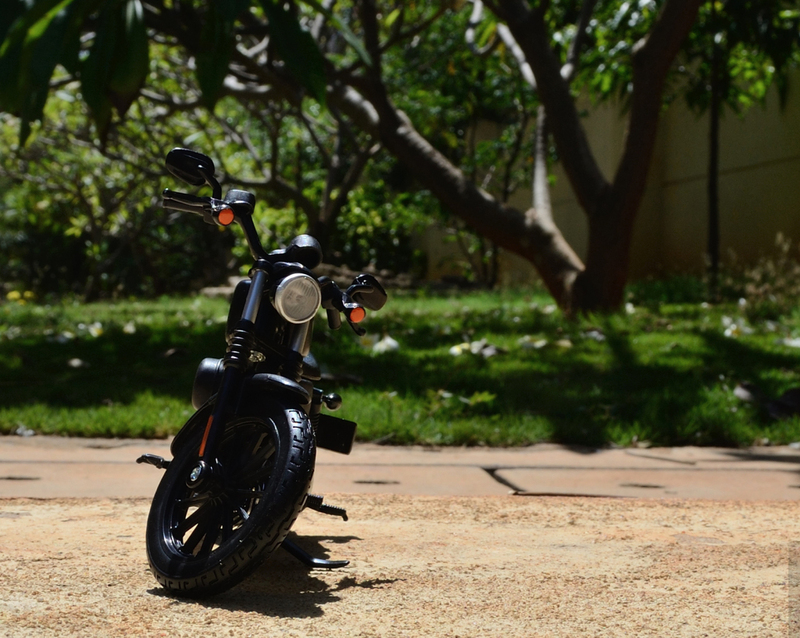 Me being a sports bike aficionado in real life was so font of sport bike even in scale model, but Harleys just dont gets stucked in that filer and always manages to break free into my collection. 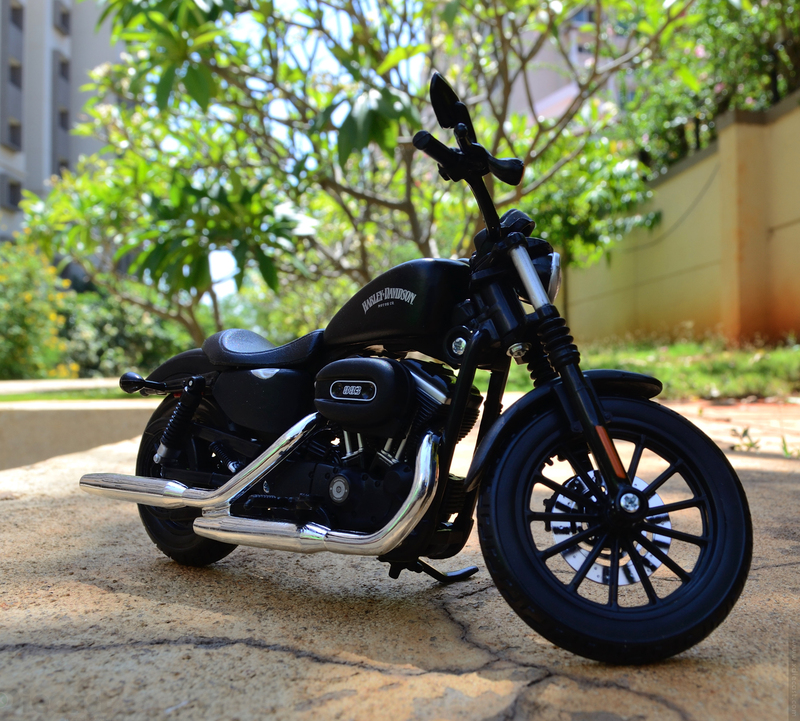 This Harley Davidson Sportster Iron 883 2014 is a bike that I has been in my wishlist(even in 1:1) from long, so how could I resist if I can park this beauty in my mini garage! 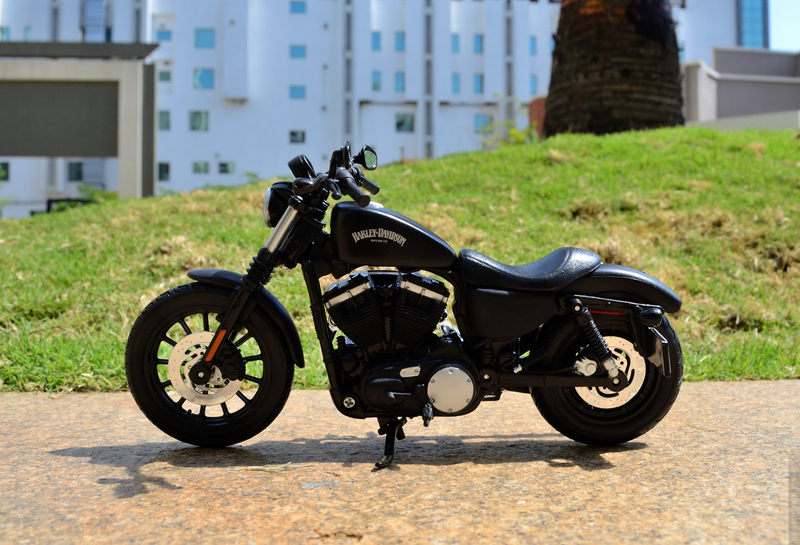 Overview: The Sportster series bikes from Harley Davidson are lighter that other bike and are lean towards performance, this 1:12 diecast model also lives up to the name of the original 1:1 model by being lighter and sleeker than other Maisto 1:12 Harleys. It almost look like a off scaled Harley Davidson right next to my other two Harley especially the FLHRC Road King Classic that matches in both color and specs. Apart from the size this Harley Davidson lacks the chrome bling! 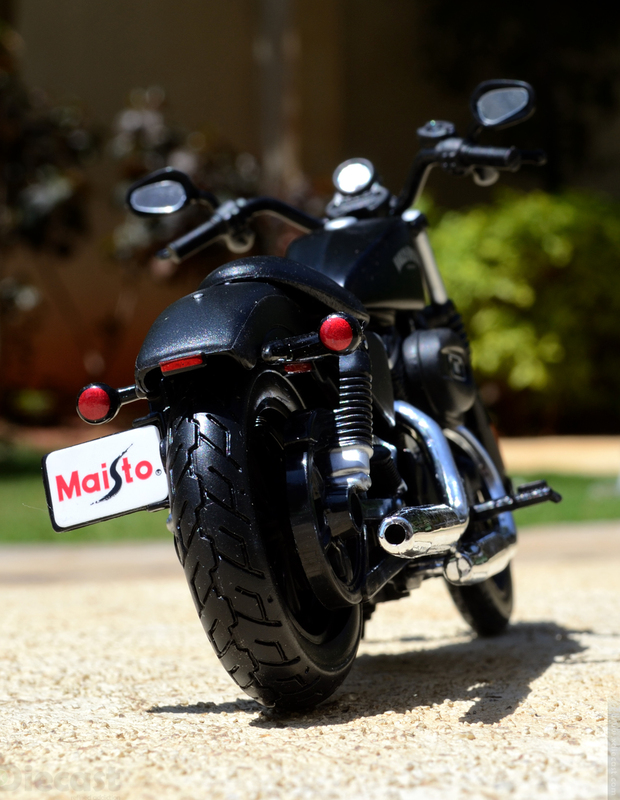 So Maisto should have done what Harley did to their Iron 883! 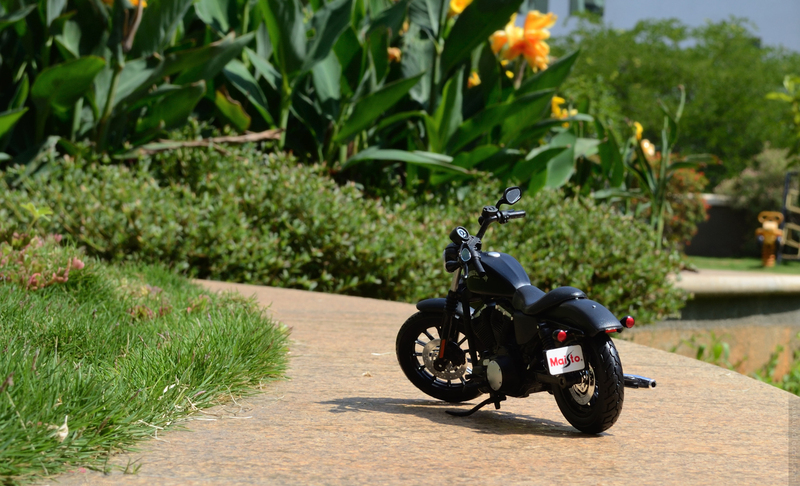 But Maisto took a highway option and this 1:12 diecast Harley ended up like a low spec 1:12! 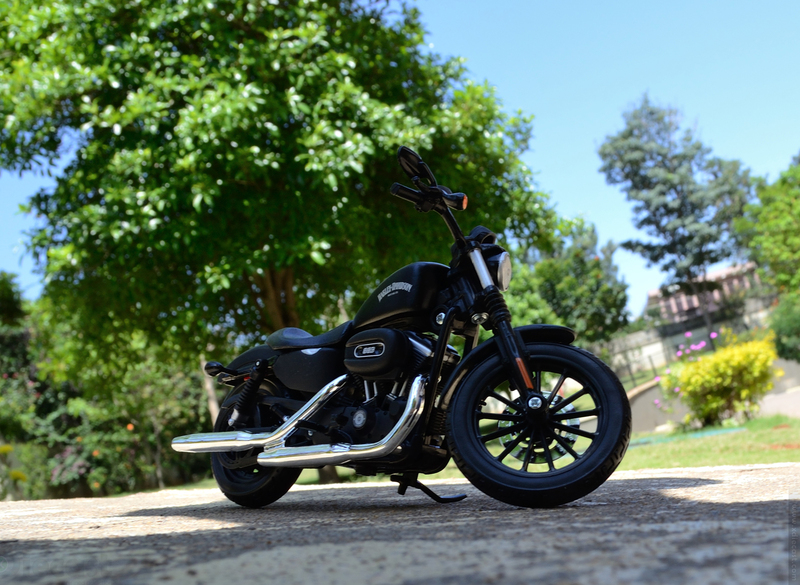 This Harley Davidson Sportster Iron 883 2014 looks tiny(Harley standards) but I personally like the front end the most! But as far as I know the headlamps got clear lenses! Did Maisto missed that?? 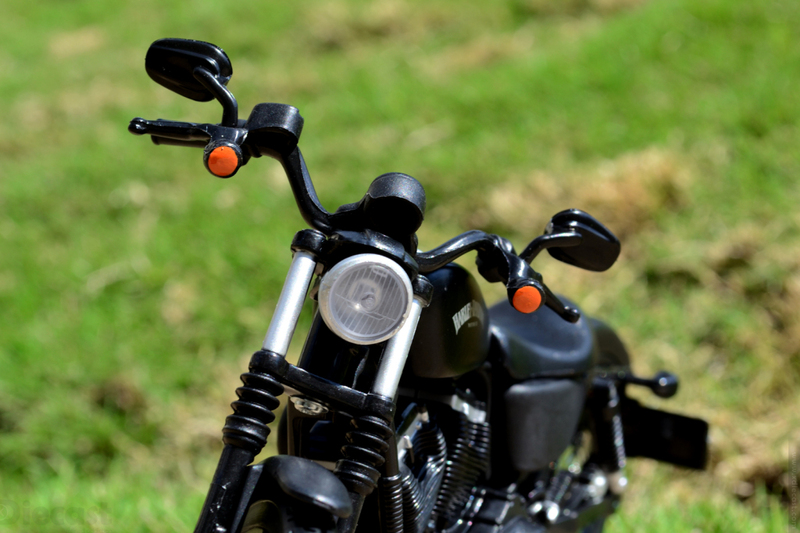 Painting & Material: Being a 1:12 Maisto bike this Harley Davidson Sportster Iron 883 is made of mostly plastic… In fact the entire bike is made of plastic except the gas tank! But these plastics are of different composition so they all serve the purpose well replicating aluminum, sheet metal, rubber etc. The paint finish is smart as this Harley comes in a matt black and the other parts that come in shinny black are well distinguished. 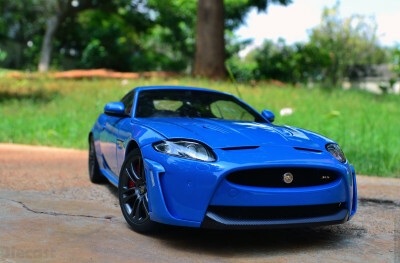 Chrome finish is at its best side as it is used only for the exhaust pipes only. This Maisto also comes with its inherited aluminum screws that shouts too much in this otherwise flawless black body! Accuracy: This is not an AUTOart or Highway 61 or Franklin Mint but a Maisto, lets have that in mind and begin our hunt. In comparison to other Harley Davidson this scores the same in terms of accuracy! The stance of the bike is correct, scaling is good, engine details is nice too especially the heads and oil reservoir! Now comes the cons… the head lamps seem like a miss fit as it is not a clear lens, the wheels that are supposed to have aluminum details in the spokes are missing also for the rear wheel misses one full spoke with only 12 spoke in them. For me the biggest issue is the rear foot peg, that is not supposed to be there as this Harley Davidson Sportster Iron 883 is a single seater and the pillion seat can only be added as an extra. Also check out the tail pipe, the second pipe seem sealed! 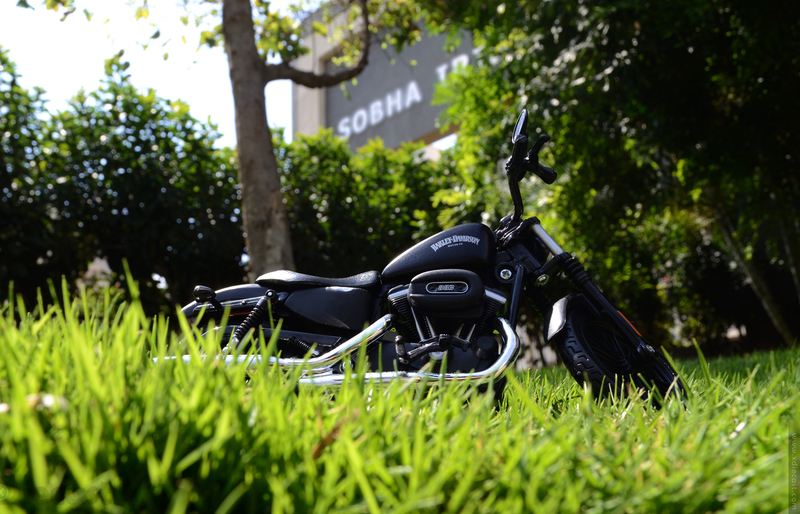 Working Features: This Harley Davidson Sportster Iron 883 comes with very limited working feature, the steering system is fully functional and the wheels freespin with the discs attached to it. Working suspension would be a great addition but not a deal breaker!! 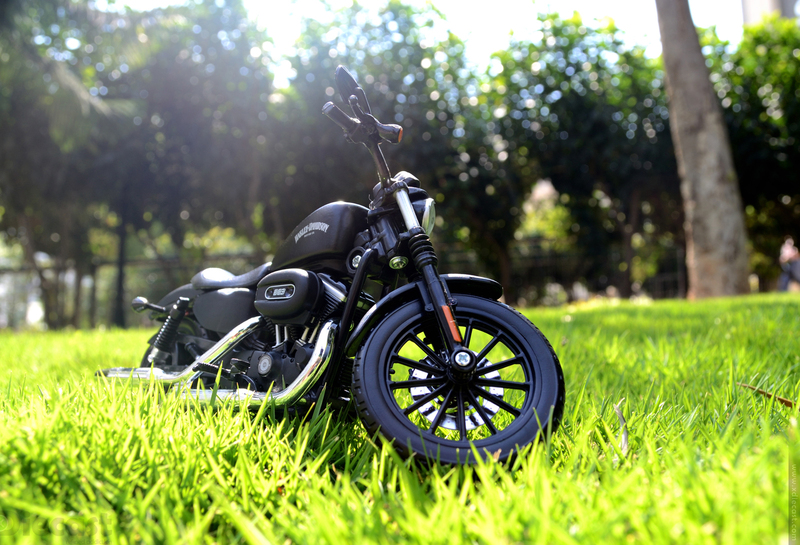 Verdict: This Harley Davidson Sportster Iron 883 is one of the 1:12 diecast model that I added to my collection because my heart desired one in. Though this diecast model has its own share of flaws but their are all mostly inherited to all the Maisto 1:12 bikes! The model cannot get a full score due to its flaws but scores real high for value for money and rarity(in this price point and availability). I am giving this American Beauty a generous 4, which I feel is a genuine score that this Harley Davidson deserves.